Hi everyone and welcome! 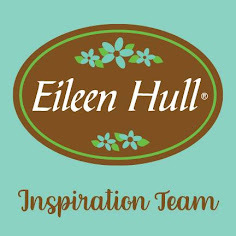 I'm back today with my latest monthly project for Eileen Hull Designs. We were asked to use the dies from Eileen's HeARTfelt Collection in different ways and the Design Team have really risen to the challenge as can be seen HERE and HERE. With ideas as diverse as a tablet holder and shadow box to a wine cuff, pin cushion and money box it's clear they can be used in a multitude of ways. 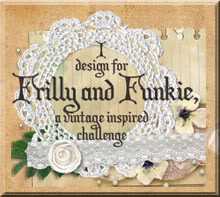 And today sees even more ideas shared on Eileen's website - make sure you check out them out and prepare to be amazed! The flowers were cut from Sizzix 'Paper Leather', a light yet super tough material that can be cut, embossed, stitched, painted and generally abused without risk of tearing. And as you'll see from the dies chosen and cut out pieces, it can be die cut with Thinlits dies too! Having punched a hole at the top of each of the larger flowers I painted both sides with Dina Wakley's Lime acrylic paint. The smaller flowers had the Ruby shade applied to contrast with the larger layer. The flowers were then embossed with one of Eileen's embossing folders from Sizzix. I made sure the flowers were lined up so that the embossed details matched when layered, but that's just me - matching the patterns is not essential!!! To add even more interest I diluted some of Dina Wakley's Ocean acrylic paint and splattered both sets of flowers (on both sides) using a small brush. When dry this process was repeated with the White shade to contrast and coordinate with the beads. When dry I glued the two layers of flowers together. Dots of 'Caribbean Coast' Enamel Accents were added to the centre of each completed flower. To finish I used silver findings and some coordinating semi-precious beads from my stash to link the hooks to the flowers. I hope you've enjoyed finding out more about how these Stitchy Flowers earrings came together. 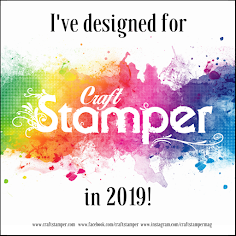 And a quick reminder to head over to Eileen's website to see a multitude of other ideas for using the dies from her HeARTfelt Collection.